A big thank you to Dianne Baker for leading us in Worship this morning. March Newsletters have been emailed. If you do not receive it through email your copy is in the AMEN corner. Please pick up your copy as well as your neighbor’s. Board Members please pick up your board packages. The next meeting will be on Tuesday, March 20th at 7:00pm. Note: Worship Committee in charge of set up. Pastoral Care Coverage: Nancy is away until Tuesday, March 20th, attending a family wedding. Arrangements have been made for emergency pastoral care. If you are in need of pastoral care during this time, please call Joan Macdonald of the Pastoral Care Committee at 661-1966, and she will put you in touch with the minister who is on call for us. Stewardship of the gifts we have been given is a key aspect in the living out of our faith. 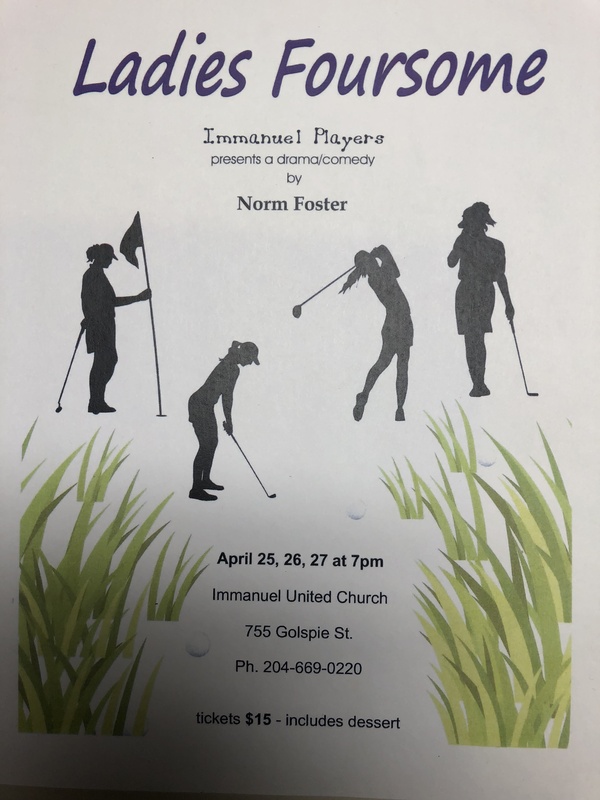 Many thanks to the Immanuel Finance Committee for their thoughtful and prayerful financial leadership throughout the year, and for helping us all to focus on stewardship concerns in our worship services in the month of March. Golspie Club meets this Thursday, March 22nd at 1pm. All seniors are welcome. The Visioning Committee has had two General Meetings to continue the Visioning conversations. We are hoping to give everyone an opportunity to participate. The intension is to understand: Who we are as a Congregation? Who we are called to be? We will holding one more session on Sunday April 15th. Please sign up on the sheet posted in the AMEN corner. If you have any questions please contact a member of the Visioning Committee……Bill Hickerson, Marg Smith, Karen Turk, Ian Donnelly or Lynda Endicott. I will be in Tuesday, Wednesday and Thursday mornings this week.